Durgeshmaheshwari, 19 May 2014http://gadgets.ndtv.com/mobiles/news/xolo-confirms-android-44-kitkat-update-for-q700s-q1010i-q... moreIs there any magnetic flip cover available for q 3000 model. flip cover given in box is of low quality. 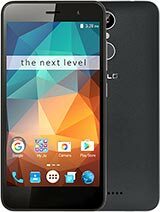 Other than it phone is good in all aspects. Waiting 4 ur reply. 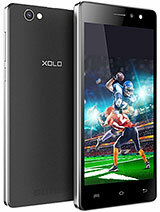 Hey guys i have been using this phone xolo q3000 for a month now. Its a grt phone and recently i got a update frm the gallery which made my android version to 4.4.2 which is really awesome. With this update u get nearly 3.5 GB of internal memory for ur apps but the phone storage reduces to 9.6 GB.but overall the update is fantastic. 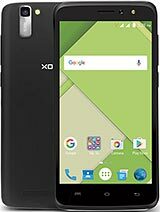 my xolo q3000 phone's screen has been damaged.how much charge will be for new screen from company? Videos are recorded in 3GP format. At 1080p, these were sharp enough for us. Focusing was a bit laggy, but otherwise we had no complaints. 4.) Full HD videos shutter a bit. You have to install MxPlayer and enable "Software Encoding" to remove the lag. 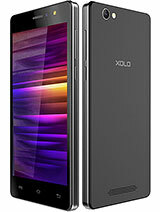 xolo q3000 is super phone.xolo q3000 is equal to samsung S5.camera 13 mp is perfect hd capture.battery is 4000 li-ion long time battery life.front camera 5mp super.5.70 inches xolo q3000.so buy xolo q3000 . Amit Gupta, 03 Jul 2014One more thing for those junkies which might reject it for lack of NFC. when i recently bought... moreAmit gupta, NCF is just a technology used to transfer small amount of data, rest data transfer takes using the wifi chips. your statement mentioning more speed than NFC seems to be incorrect. harry , 07 Jul 2014Thanks for suggested for geonee bcoz I am using gionee g4 and its awesome very nice phone and ... moreWelcome bro. Finally people are joining hands in busting these lootera brands like HTC,Sony,Samsung,LG. Every brand can become big if consumers think your way. We need to understand that we buy phones for our pleasure and not to impress someone. 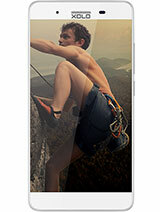 You have made an excellent choice by buying Gionee. 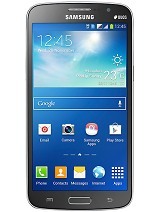 Its smart phones are the best i see in android at a given price range. I am using this phone from 2 months. Delay when you unlock screen. Delay when your call finish and ready to disconnect your call. The screen takes long time to sence. Sencer issue. Unable to change date and time. When try to do gives error"Unfortunately , Settings has stopped". If anyone resolve this issue. I am waiting for that. AnonD-280495, 05 Jul 2014I bought one from snapdeal two days back and it came updated with android kit Kat.... Though t... moreJust received a call from snapdeal...they have credited 400 rs to my account for reimbursement .,.. James, 04 Jul 2014Guys, I am facing a serious problem with network connectivity on my new phone (XOLO q3000). If... moreYes, it could be an issue with settings, in Settings under SIM card options. You would have to untick the option to put the SIM card in standby mode, this should help. 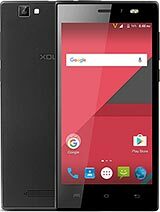 Guys, I am facing a serious problem with network connectivity on my new phone (XOLO q3000). If I lock screen and open it after five mins the sim becomes inactive and when I open it gets activated and all wats app msg's and calls I get after that. Can any1 help me with this please.....Is it any settings issue?